1. If your theme has customise and style template of woocommerce, you will need to use your theme style which your has customised and to fix some conflict code by Go To WooEvents > General > Main Purpose > Only use metadata. - Add option to show timezone in single event page & Email order. - Fix wrong date of recurring event by custom date. - Fix: speaker event list bug, show wrong price of recurring event. - Add: allow submit event image. - Add Custom meta field,speaker event list. - Calendar support only show upcoming event. - Map icon bug fix. - Add link to grid image. - Update Select2 js library. - Add Latitude and Longitude option. 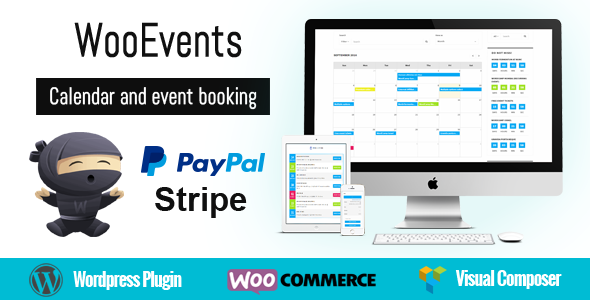 - Support ajax load more posts (events grid, events table shortcode).